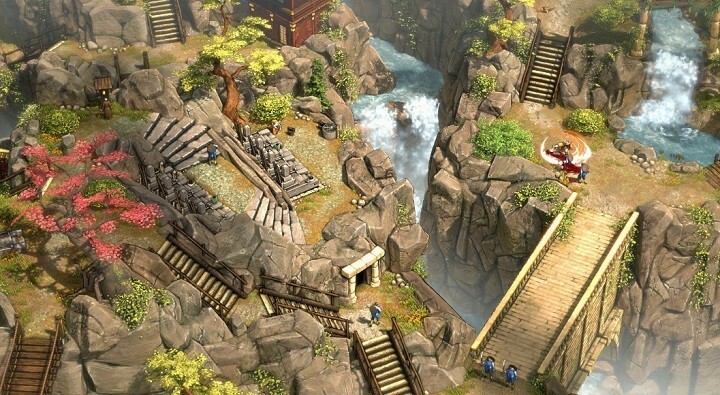 Shadow Tactics is a tactical stealth game that takes place in Japan around the Edo period. In it, a new shogun seizes power over Japan and enforces nationwide peace. In order to achieve such a noble goal, he must first battle against conspiracy and rebellion. For this purpose, he recruits five specialists with impressive skills for assassination, sabotage and espionage. Since the five specialists have very different personalities, working together is not an easy task. Players need to evaluate their options in order to master the challenging missions and try to predict how will the characters behave as a team and who is best equipped for each task. At the same time, gamers need to come up with smart strategies to vanquish their rivals and complete the missions. Shadow Tactics is scheduled for release on December 6. Since the game is still work in progress, players are affected by many issues. Hopefully, the game developers will fix most of them by the time Shadow Tactics becomes available for the general public. 1. Gamers report they can’t get past the camera rotating tutorial. As instructed, they rotate the camera using the mouse, but nothing happens. This issue may occur because the ALT key might be stuck physically or by a bug. You can also try pressing ALT and TAB to fix this bug, or just pressing the ALT key again. 2. FPS drops when players zoom out and look at the map. The same issue occurs when they rotate the camera. Stuttering becomes quite visible as FPS drops to 40. 3. When Mugen carries two bodies and tosses them out of the door, he can only toss one of them. The second body is bugged, remains there and players can’t pick it up again unless they punch it again. 4. If one character dies during a leap attack in mid-air, the game doesn’t register it as dead and everything continues. Dialogs and cutscenes continue, while the character remains in mid-air. 5. Gamers can’t change language settings. When they go to Settings to select another language, the default language is enabled again when they launch the game. As you can see, the issues listed above are not all severe bugs. Mimimi Productions still has almost two weeks to fix all these issues and make sure that the final Shadow Tactics: Blades of the Shogun version offers a smooth gaming experience.